Jeremy Irons points to income inequality and a growing number of disaffected citizens as contributors to both Brexit and Donald Trump’s election as President of the United States. Larry King: What are your thoughts on what's happened here in America in this election year? 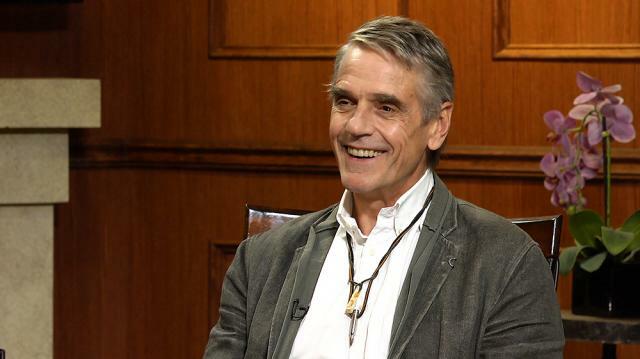 Jeremy Irons: Well, I think a lot of things are happening which have caused what happened in your election. And I think, I think there are an enormous number of people in this country, and in England, and in Europe, who are very disaffected with politicians and with politics. I think the canary is coming home to roost, so to speak. And I think global capitalism is not serving our society as it should. There are too many people without jobs. There's too big a gap between the rich and the poor. And the governments, certainly in our country, they don't seem to have the power to address that. They're so keen to keep industry there. So keen in London to keep London a financial center, so they want it to be unregulated. And unregulated capitalism, you know, I've always thought that capitalism is like water. We need it to live. But it can drown us. Jeremy Irons: And I think there's an element of that happening. And so, when you get this disaffection with politics then I think you get people like we had, a man named Nigel Farage, at home, which lead to our Brexit. You have Donald Trump, who speaks what I call bar house language. He speaks to the guys on the street. And no one's ever happy with government. But Donald has charisma and he speaks everyone's language. He doesn't know nothing, I think, about politics. But he knows what's wrong, some of the things that's wrong. Larry King: But he called himself the American Brexit. Jeremy Irons: I think there's a, there is indeed a parallel there.